Trends from the 90s are back, whether we like it or not. So, think oversized clothing, bucket hats, desert boots and Hawaiian shirts. These were all recurring themes on the runways of the Spring/Summer 2018 fashion shows last year, so expect to see these trends galore in all the most stylish stores this season. One of the main trends for Spring/Summer 2018 is earth tones, as seen on the runways of designers including Lanvin and Prada. Sand colored suits and clay tone shirts are what it’s all about. When it comes to footwear, it’s really up to you and your personal style. But if you’re looking for a slick way to give this earth tone trend a casual look, a comfortable sneaker is the way to go. 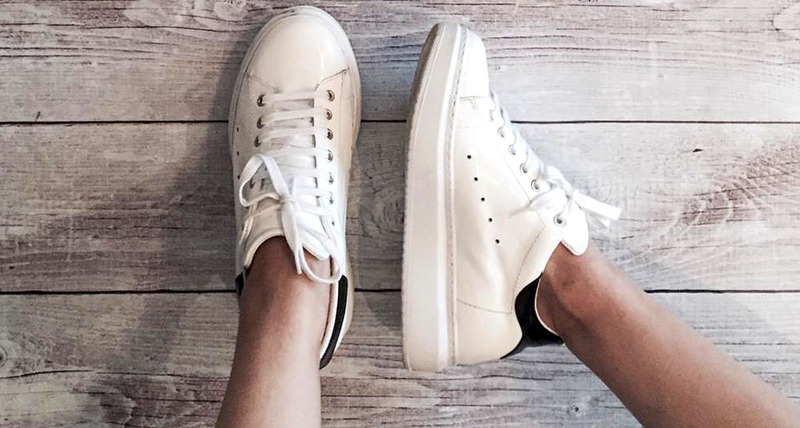 The Lisbon sneaker is ideal for pairing with this trend. These sleek white elevator shoes are handcrafted in Italy using the finest Italian patent leather. As well as giving a fresh, clean look to your Spring/Summer style they will also increase your height by 2.6 inches, so you can spend this summer walking taller and feeling more confident. The best thing about these height increasing shoes is that their classic design means you can wear them with anything from suits to jeans to shorts. They will become a surefire summer wardrobe staple. The Lisbon elevator shoes for men will also look super slick with another of SS18’s trends, the oversized pinstripe suit; giving the 90s style a modern twist, as seen on the Versace runway. Another hot trend for SS18 is Hawaiian shirts, as seen in collections by Balenciaga and Louis Vuitton. Pair these bright patterned shirts with anything, from jeans to chinos. As for footwear, a stylish pair of loafers keeps this look elegant and comfortable, while giving it a smart touch. The Iran elevator shoes are the ideal summer shoe and can be paired with many of the SS18 trends. These naturally tanned soft leather loafers are handcrafted and sewn at sight, giving you the luxury and comfort that you want from your footwear. Discreetly adding 2.6 inches to your height, these shoes can also make you that extra bit taller so you can have a summer to remember no matter what trends you wear.